I am thankful today to live in a country that is free. We live in an amazing country. Thank you to the men and women who keep us safe. One of them was my Grandpa Chitwood. He served in the Army during WWII. I had uncles who served in Korea and Viet Nam. 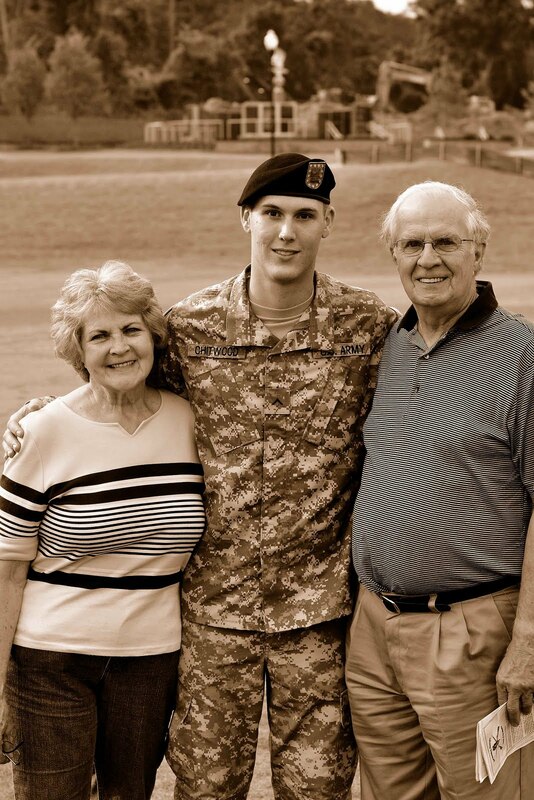 Now our son Justin is in the Army. He seems a long ways away tonight as he is in training and unable to contact us. We are so very proud of you. 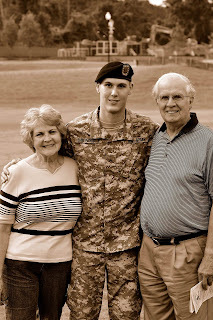 This is a picture of Justin and his Grandpa and Grandma Chitwood at his graduation ceremony at Fort Benning. That was a special day. Our prayers are with you tonight son.